There’s a common myth I want to dispel about beauty oils – ‘oils cause breakouts’ – well, put simply, they don’t. You’d be forgiven for holding this view, however - the magazines I read as a teen preached about the spot-breeding evils of oil – hey, even my non-metrosexual boyfriend questioned why I would risk using a facial oil when I told him I was trialling a new product [he kindly indulges me in beauty-related conversations from time to time]. Yet I can confidently say that subbing my bedtime moisturiser for oil has been one of the best decision I’ve made for my skin since I took the plunge a year ago. 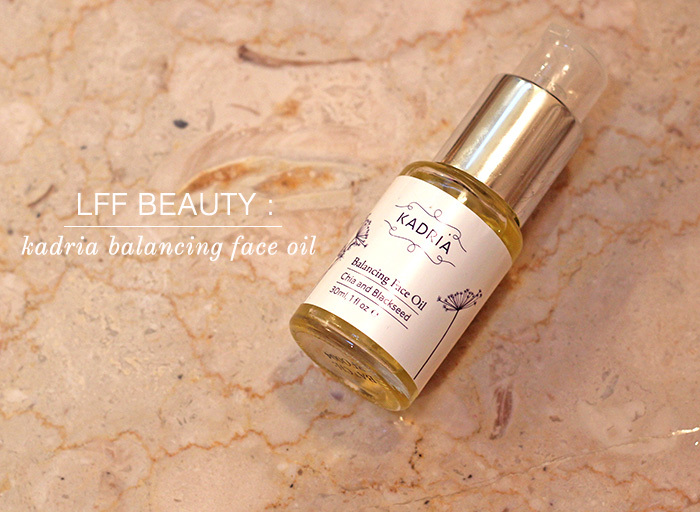 I’ve tried several oils in the interim, including Kadria’s Balancing Face Oil which I was recently sent to try. The ultimate mermaid shoes, surely? But then, if there's any designer that can deliver the ultimate in her field, it's Sophia Webster. As a footwear designer, Webster's talent lies in seducing the shopper with nostalgia, inviting her customer to reconnect with their inner tweenagers. I thought my days of coveting mermaid sequins, rainbow colour and butterfly motifs were decades behind me - turns out - when combined with grown-up razor sharp heel, I'm fully game. You only needed to look down at Webster's presentation to discover the most sartorially sombre of fashion editors modelling the label's frivolously fun, hyper-real designs at their feet.